Here at NightPro, we are constantly striving to provide our venue partners with simple, fast and reliable venue management software. Our mission is and always will be to empower our venue partners with technology - giving them the best tools available to help drive sales and streamline their operations. These are three of NightPro’s most powerful sales tools that can make a big impact to your bottom line. Scenario: A potential customer visits your venue's website looking to make a reservation for a VIP Table. They find a form or a general contact email that tells them to reach out to request a reservation. Your customer takes the time to fill this out, submits it, and then has to wait for someone on your staff to contact them back - giving them plenty of time to keep browsing other venues. Their request opens up a series of back-and-forth correspondences with your staff - Where will my table be located? What is included in the minimum? Who is the DJ? Can I bring a cake? What time should we get there? By enabling NightPro widgets on your website, guests can easily browse all of the information about your venue. They can view ticket or guest list options, VIP Tables, special VIP Packages, and more. Then, they can just select which option they want and book it instantly - securing the sale in real-time, and making it a simple and convenient experience for both guests and staff. So, what exactly is a widget and how do I get one? A widget is a small snippet of code that NightPro automatically generates to power ticket sales, VIP table sales, reservation requests, guest lists, event lists and calendars directly from your venue's website. NightPro offers many different styles to our venue partners so that you can customize them to fit your venue's brand. The booking process is seamless and stays entirely within your website - meaning guests will not be redirected to another third party site. Your staff can easily control the pricing, quantity and descriptions of the items listed within NightPro which will update to your website in real time. The best part? You can do it right from your phone! Widgets will help you keep your website up-to-date and make the booking process instant and transparent for your guests. Widgets also help save time for your staff by decreasing the amount of back-and-forth with customers and data entry. They enable you to catch a customer in-the-moment when they are looking to book so you are less likely to lose them to a competing venue. In fact, we have seen some venues drive up to an additional 30% in revenue after implementing our booking widgets. Widgets take only a few minutes to implement, require very low maintenance, and can make a big impact on sales. Scenario: A potential customer calls your venue at 8:37am on a Monday morning to inquire about making a reservation for a bachelorette party 3 months away – naturally, no one answers the phone. They leave a message and have to wait for a call back. You then return their call, answer all of their questions and take down the details for their VIP Table. What do you do next to secure the reservation? There are a number of problems with these dated methods. First and most importantly, taking a credit card over the phone or on email isn’t PCI compliant. It leaves your client's card and data exposed, which poses a number of risks to the security and protection of their personal information. This is also a manual, time-consuming, inefficient process. If you aren’t collecting a credit card to confirm a reservation, then you have no guarantee that the client won’t cancel or “no show” – and you'll have no recourse to make up for those lost sales. When you enter a reservation into NightPro, you have the option to create a payment link to send to your client to take a deposit, a full pre-payment, or simply hold their credit card securely on file. You can text or email them this link, they can review the booking detail, securely and safely enter their payment information, review all of the terms and conditions so you are fully protected, and complete their reservation. Instantly, your staff is notified that this client has confirmed, and all of the client and reservation data is synched into NightPro. Fast, easy and transparent – you can even create payment links right from your phone! Scenario: You have a big event coming up at your venue and you want every promoter you know to help you drive as much traffic to your event as possible - and you want it done A.S.A.P. You email and text everyone you know the image of the event flyer asking them to post it on their social media and share it with friends. But, how do you actually know if it’s working? How do you know who is sending you the most traffic to your venue? Imagine if you could just create this event, add in your ticket and table pricing, and then in just the click of a button, being able to email blast all of your promoters, affiliates, staff, or concierges their own unique tracking links to post to help you sell the event? 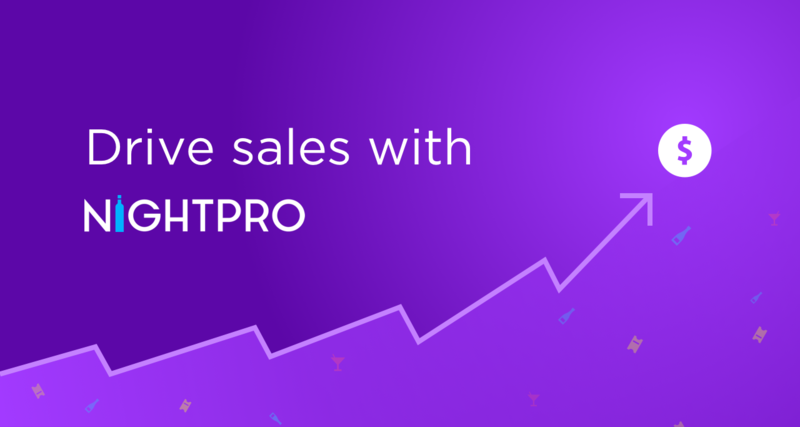 With NightPro’s sales tracking link feature, now you can! That’s it – now, this email will go to each person directly, giving them all of the event details complete with their own unique link to post and share with their networks. If a client buys a ticket or a table clicking on the link, or even makes a request for a table – you’ll know exactly where that sale came from. No more scrambling to sell your events or manually creating unique links – in just three simple steps your event us fully up and running and being promoted by every staff and promoter in your database. If you have NightPro at your venue already, then good news - these sales tools are already at your fingertips! Just contact your NightPro rep to get started. If you are interested in a free demo of NightPro, email us at team@nightpro.co and mention this article for 50% off your first month.